Earlier this week at CES 2018 in Las Vegas, Google finally unfurled its ‘Smart Display‘ plan to take on the fast-growing ecosystem of Alexa devices in your homes, especially the Echo Show and Spot. We’ve already seen smart display’s from Lenovo and JBL, but LG is not far behind and has today unveiled its Google Assistant-backed smart display called the ThinQ WK9. This new entrant to Google’s smart display ecosystem is part of LG’s ThinQ smart appliance lineup, which includes intelligent refrigerators, TVs, and more. The Korean giant has shown off several of them on the CES show floor, including a 65-inch rollable TV, Google Assistant smart speakers, as well as other TVs. 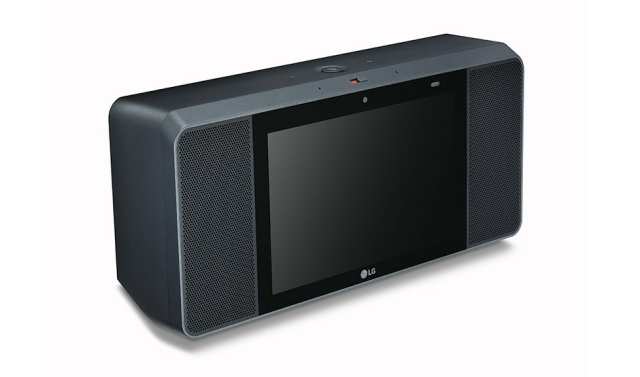 Tell me if I’m wrong , but the LG smart display looks like a boombox from the future. The ThinQ WK9 Google Assistant touchscreen speaker, which is a mouthful for an official name, is rectangular and boxy. It includes two huge speakers on either side of an 8-inch touchscreen that sits front and center. The smart display also looks bland in its black case, with no hint of any rich colors. All it’s missing is a top-handle to lug it around. 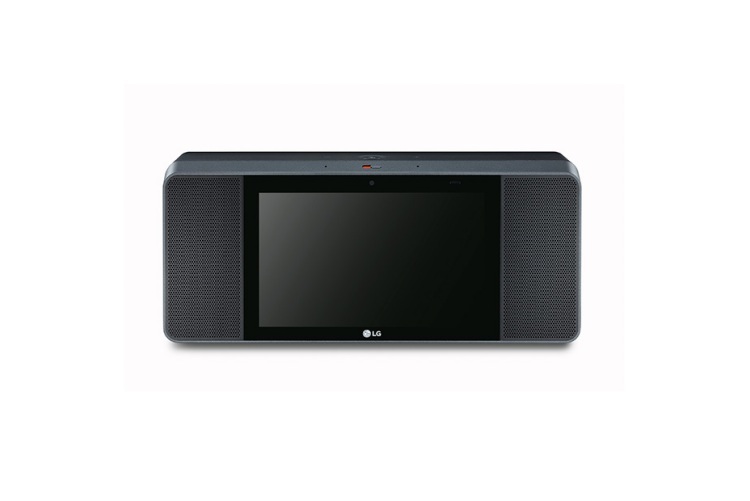 Jumping onto the ThinQ WK9 details, there is not much LG has announced about the same from its end. The product page for this smart display only says that it has both the Google Assistant and Chromecast built-in, something which we already knew. It features a front-facing camera for Duo calls (with a privacy cap that you can engage to cut off the camera sensor). The speakers are expected to offer a premium sound experience, thanks to Meridian Audio’s advanced technologies. And that’s about it. But, if you remember, Google has already doled out the deets of the internals of its smart displays in its official announcement. The ThinQ WK9 is also running on Qualcomm’s latest SD624 Home Hub Platform, which powers the “Android Things IoT platform” the touchscreen speakers have been built upon. Currently, LG hasn’t shed any light on the price and availability details of its smart display. You can expect this Google Assistant-powered screen+speaker combo to take on Amazon Echo Show later this Summer, like every other smart display, but will anyone even choose this? I mean, look at it, it feels like a tasteless boombox in comparison to the sleek design of Lenovo’s smart display. I’m definitely picking up the latter, but what will be your pick? Let us know in the comments down below.